A new year means many things for car buyers; new safety ratings, new models, and new costs. Another aspect of a car search to consider is the cost of Auto insurance; preferably before Royce rolls his brand new auto from the lot. Fortunately, Insure.com has done the world a great service by ranking the most expensive and least expensive cars to insure. Most of the cars on these lists will come as no surprise to you, but nonetheless good information to have before you adventurously strike out to haggle with the peddlers of the automobile world. It’s important to note that the car you drive is NOT the only factor that affects your auto insurance rates. Several other factors, including age, gender, area of residence, and annual mileage also play a part in determining the number at the bottom of your car insurance bill. We’ve also written about how each of these affects your insurance, if you’re interested. As for the car itself, there are reasons that some cost more to insure than others. This is due to safety ratings, top speed, anti-theft devices, and cost. 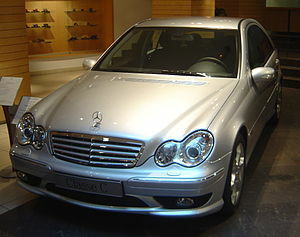 It makes sense that a fast, poorly protected car will be the apple of a thief’s eye and therefore cost more to insure. Performance: what can this baby do on the highway? If your car’s engine could power a third world village, your insurance is going to be higher. Insurance companies have to assume that high performance cars are bought for just that reason: to drive fast and practice risky driving behaviors. If you want to keep your insurance low, stay away from performance vehicles. If your dream car has parts from obscure companies and/or locations, beware. Should you get into an accident (even a minor fender bender), the replacement parts will be much more costly than high supply auto parts. That factors into your insurance cost; in fact, it may factor in even more in the future if gas (and thus shipping) prices continue to rise. First and foremost: YOU ARE NOT NECESSARILY SAFER IN A BIGGER CAR. There are many large trucks and SUVs that have inherent safety flaws. Consult crash test reviews and data before you commit to a larger car. However, even if safer, SUVs are not necessarily the best way to obtain low car insurance. Big cars tend to have a higher liability coverage rate because they do more damage to other cars in accidents. Remember the ‘high performance, high insurance’ paragraph? Well the converse is also true. Cars associated with ‘routine, safe’ driving behavior are going to cost you less. These are the cars that many think of as ‘family vehicles’: minivans, station wagons, and family sedans. This is due to the fact that ‘family vehicles’ are statistically involved in fewer crashes than other types of cars; therefore, they will cost you less to insure. Remember: insurance companies play a game of numbers; if your car is going to cost more to replace, then you’re going to pay more for it. With that in mind, go forth and buy the right car for you and your insurer. And, of course, if you find yourself in an auto insurance pinch, look to Gordon Insurance: we provide both a wealth of information on our website and would be happy to place you with the right insurance agency for you. Homeowner claims resulting from water damage are on the rise (no pun intended). Bob Passmore of the Property Casualty Insurance Association of America reports that “out of every $100 paid in insurance claims, $12 goes to water damage and freezing claims, not including water damage from flooding rivers and seas. Flooding from ground water is not covered unless you have a flood insurance policy. Water damage, other than floods, is covered if the cause is sudden and accidental. A loose drain pipe from the bathtub that slowly leaks for months and buckles the bathroom floor is not covered. 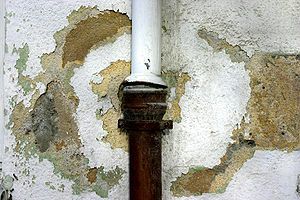 However, the damage caused by a pipe that suddenly bursts is covered. The plumber’s repair to replace the pipe is not covered but the resulting damage is. Ice dams are caused by the melting ice in your gutter that backs up under your roof shingles, causing water damage to your ceilings, windows and walls. Use an ice dam rake on your roof when snow accumulates. Have a licensed plumber periodically check your plumbing pipes. Replace your washing machine and dishwasher hoses with ‘no-burst’ hoses. Unlike rubber hoses that can burst over time, these are made of a metal sheath that protects against bursting. Periodically check around and under your hot water heater for any signs of leakage – a small drip from the tank can turn into a ruptured tank in no time at all! Never run your dishwasher or washing machine when not at home (easier said than done, I know). Check your toilets and under your sinks for any signs of water leakage. At the first sign of freezing weather, turn off your outside water spigots (from the inside of the house) then drain from the outside. Newer spigots are designed to prevent freezing do not have to be shut off from the inside during the winter months. These can be replaced by a licensed plumber. Check your ice-maker and its water line for any signs of leakage. When on vacation, especially in the winter, have someone check your home daily. A temperature monitoring device plugs into your phone outlet and can alert you via cell phone that the temperature has dropped to the danger point of freezing. Use such a device when vacationing in the winter. Newer gas furnaces operate with an electronic pilot. Older models have a gas flame pilot that can blow out from a draft. No heat means freezing pipes! Before going away on vacation, familiarize which type of pilot you have. If the former, this is another good reason to have someone check your home daily or have a temperature monitoring device! Please watch for our future blog, “How to minimize further damage if you sustain water damage to your home “. And for more relevant insurance information, and resources to save you time and money, visit the A. G. Gordon, Inc. Website. With the Registry providing less notice by mail for license renewal reminders, we recommend everyone sign up for automatic email reminders for renewing your driver’s license, registrations, state inspection stickers. You can use Plymouth Rock’s on-line service, available through our web site at: www.agordon.com. Don’t let an expired inspection sticker, or worse, an expired driver’s license become the reason your insurance costs go up! For the best auto insurance advice, choice, and rates, visit www.agordon.com.